Skoda India is all set to launch its new crossover of MUV and wagon the all new Roomster .The all new Skoda Roomster is set to revolutionize the MUV segment. The Roomster is equipped with the latest luxury features to pamper the passenger and give an amazing traveling experience. Audi is all set to launch its small cars the Audi A1 and it is likely to be on road this year . The Audi A1 will be the least costing vehicle from Audi . The all new sporty Audi A1 will be a hatchback with great features to stand apart from the rest. The German giant car maker is all set to launch its small car for Indian market soon this year with a expected price of Rs. 16,00,000 . It will be the lowest costing vehicle for Audi lovers . The Audi small car is expected to be available in three variants , Audi small car petrol , small car diesel and small car 1.2 . The all new Lamborghini Gallardo LP560-4 is soon going to be on Indian Roads. The Italian car maker has always been successful in delivering one of the best sports cars and the new model is expected to take it to new heights. The two seater sports car can set the road on fire by reaching 0 to 100 in just 3.7 seconds. Mercedes-Benz launched the G 55 AMG off-roader for the Indian market. The first of G 55 AMG was launched in 1979 and since then it successfully sold more then 200,000 cars. The G 55 AMG is reportedly to reach 0 to 100 in just 5.5 seconds and reaches the top speed of 210 km/hr. The Swedish automobile giant the Volvo car Corp. is all set to launch its new and stylish C 70 which is to launch soon . The C70 is a hard top convertible and this feature when polised with stylish look is sure to be a magnet for car lovers .The vehicle is designed in collaboration with a Italian firm. The leading luxury German car maker is all set to launch its new model in the SLK class its the Mercedes-Benz Roadster . The all new sporty and stylish convertible car is going to turn all heads on road. The Roadster is not only a magnificent looking car but also is equipped with features that gives it a clear edge over its competitors . 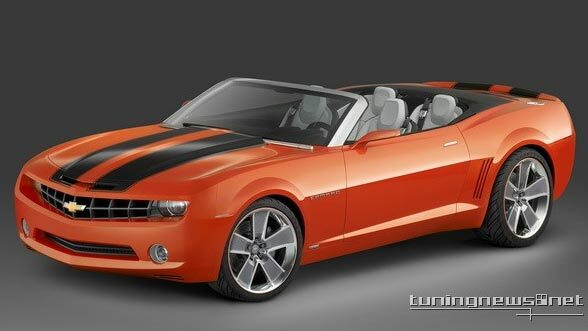 General motors is expressing its intentions to launch its budget friendly sports car the Camaro for the Indian market. This is one of the highest selling car model of G.M as well as the most popular muscle car of America , will now enter Indian market as a right hand drive model. The hatchback market in India has seen many new launch by all car makers and now the Indian auto giant Mahindra is to launch its hatchback with a joint venture from Renault the Sandero . Designed with a long and swept back head lamps added with bold grills and perfectly crafted body the car sure will make a loud statement . The giant car maker Volkswagen is expected to launch its small car, the UP ! in the Indian market soon this year . The VW's UP had few similarities to the Beetle with main influence being the engine that runs at the rear part of the vehicle however the Indian version is expected to be wider and longer and will not have a rear engine ! Soon Indian market will have its first ever electric chargeable car in upper segment by General motors India , the Chevrolet Volt . Chevrolet Volt has the ability to create its own electricity and has a top speed of 100 miles an hour .Chevrolet Volt which is a 4 door hybrid car will have room for 4 passengers and will be a stylish hatch back . Ferrari has introduced its 458 Italia in India. Tagged as India's most expensive car, the 458 Italia is priced at Rs 1.95 crore onwards. The new 458 Italia luxury on India roads i claimed to be the fastest car on production that is allowed to drive on normal roads in the world with a top speed of 325 km/hour. The Bravo is a perfect blend of beauty and substance, a harmonious combination of elements, creating a car of classic elegance yet futuristic design. It boasts of generous dimensions and its soft, fluid lines simply underline the muscular prowess of a grand touring car. The front makes a decisive contribution to the impression of sportiness, with the sloping windscreen and attractive drop-shape lights. The rear gives the impression of great compactness and dynamism. General Motors has launched a new sedan Chevrolet Sail in the Chinese market. The hatchback version of the Chevrolet Sail was displayed at Beijing Motor Show 2010, the most expected version in India, the sedan version might also come on Indian roads in coming time. German car manufacturer Porsche is all set to introduce its new SUV on Indian roads. The powerful Porsche Cajun will be launched next year to support Porsche Cayenne in the sports SUV segment. Loaded with typical Porsche features such as lightweight construction, dynamic handling and agility, the new Porsche Cajun is targeted towards young SUV lovers. German luxury car manufacturer Mercedes has announced to launch Mercedes Benz R Class in India by November 2010. It will be the first crossover vehicle from Mercedes in India. Loaded with a powerful engine, this luxury variant from Mercedes has many advanced features and ample space. India's largest car manufacturer is all set to introduce its new concept car Maruti R3 in India. The car boosts off bold and aggressive designing with the brand name & reliability of Maruti. The Multi Purpose vehicle is expected to be launched in 2011 with a price tag of Rs. 6 to 8 lakhs. Remowned luxury car manufacturer Volkswagen has announced to launch Volkswagen Phaeton in India by August 2010. The luxury Phaeton boasts off some peincely comforts and latest features like draft-less four-zone climate control air conditioning system & advanced lxurious interior features. Phaeton is expected to cost around Rs 76,29,128. Mitsubishi has launched its luxury sedan Mitsubishi Lancer Evolution X in a joint venture with Hindustan motors. The powerful engine enables to touch the speed of 60 kmph in 4.7 sec. EVO-X is an incredible example of Japanese exuberance. The car is expected to price between Rs 21-24 lakhs. Maruti Suzuki India Limited is planning to launch a counter model to Tata nano in low cost car market. maruti Cervo is detined to be launched in June 2010 with aim to capture entry level segment in the Indian auto market. 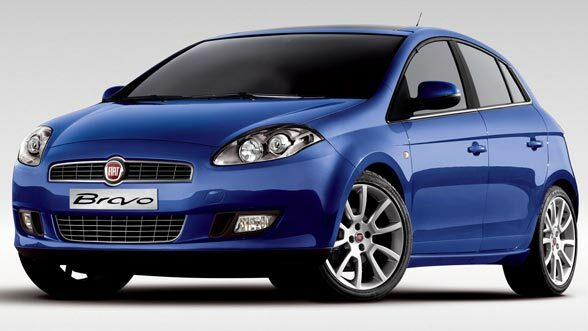 Cervo will be powered by 600cc engine and will cater as an altenatiive to Maruti 800 and Maruti Alto. Yamaha Yzf R6 has arrived in India to appease your excitement for extreme passion with jaw dropping looks. 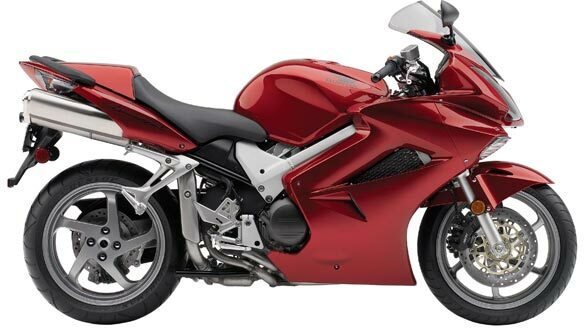 This 599 cc super bike sports superb power in its every aspect- performance, looks, comfort and safety as well. This muscle model supports ultra responsive Yamaha Chip Control Throttle (YCC-T) system to deliver its maximum whatever the terrain may be. TVS Velocity 160 is equipped with body coloured muscular plastic frame that gives it classy image. It seems as a modified version of TVS Apache which has got dynamic body design and innovative features that attract everybody. The bike possesses latest features like front petal disc brake, upside down forks, a non faired front, fatter tyres at front and rear. And a rear mono-shock suspension makes it elegant bike. Ducati Diavel is a 162bhp sports motorbike with a 207kg in weight for the more expensive Diavel Carbon model. Added features are having footing control, a specially engineered 240 section rear tyre combined with famous Ducati chassis technology. Ducati Diavel sports bike serves up fantastic handling and lean angles giving its rider a mind blowing ride. Royal Enfield Fury 500 is based on the classic familiar fuel-injected Electra with a 500 cc engine. The added features are twin silencers, digital clocks, , a chrome headlight and chrome indicators, single cylinder, twin silencers, air cooled, American style flat-track style glass fibre seat, broad and wide western-style handlebars. YZR-R125 bike is a sporty model for younger segment. Its main features is its liquid-cooled engine which is highlighted with, 4-stroke, 4-valve, single cylinder, SOHC engine who has excellent performance. YZR-R125 bike is also had an added advantage of lightweight Deltabox frame with strong aluminum arms, that gives the R125 class-leading handling and a very comfortable grip for the driver. BMW is unleashing its sports bike?BMW K1300s in India. Th flagship model is expected to arrive on Indian roads by the end of November 2010. Equipped with a 1293 cc engine, the bike has a capacity to reach a top speed of over 200 lm/h. Boosting off most advanced BMW technology, the BMW K1300s is amongst the most awaited bike launches in India.? ? ? Honda motors in all set to grab its share in Indian automobile industry. Announcing the launch of 800cc Honda Interceptor is another move ahead in this process. 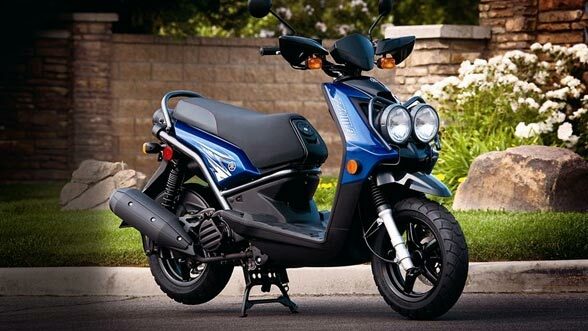 The powerful bike offers extreme comforts, exceptional performance, good fuel efficiency and stylish appearance. It's expected to be on roads in November 2010.? Japanese bike manufacturer Yamaha is all set to launch Yamaha YBR in India. The bike is targeted at the rural population of India after its dashing models like R15 and FZ which attracted the urbans. Powered by 106cc engine, YBR has basic styling and high mileage of 65-70 kmpl which makes it a worth shopping in Rs. 45000. Yamaha YBR will get to roads in June 2010. India's emerging bike manufacturer, VIBGYOR is all set to launch its first bike on Indian roads. Vibgyor Hunter wil be launched in 125cc segmeny by the end of August 2010. The bike boosts off its unique look and 4 stroke, single cylinder air cooled, SOHC engine along with 124.1cc of displacement. Watch out for a new face in Indian bike market. The all new and classy Yamaha BWs125 Fi is expected to be powered by 125 cc engine displacement. The engine is bestowed with 4 stroke, single cylinder 4 valve, SOHC engine. The engine of the Yamaha BWs125 Fi is packed with fuel injection system which will ensure proper use of fuel and thus will make he new scooter very fuel efficient. The a new Yamaha BWs 125 Fi is expected to deliver very good mileage of around 40 kmpl in city. Suzuki is all set to grab its piece of chunk in Indian automobile market with the launch of its popular scooter Suzuki Skydrive in India. The company is expected to kick off a new era of launches in scooters as Skydrive is a much liked two wheeler option in international market. The scooter will be launched in November 2010 at a cost of Rs. 45,000.